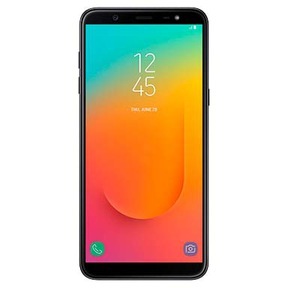 Released in May 2018, Samsung Galaxy J8 is another mid-range device from Samsung. When all manufacturers are going for a metal body, it is quite strange as to why a big player like Samsung launched a plastic body phone..
Samsung Galaxy J8 comes in 2 variants; 4GB RAM with 64GB storage and 3GB RAM with 32GB storage. The powerhouse of the phone is a Qualcomm Snapdragon 450 chipset. The screen on Samsung Galaxy J8 is pretty big at 6-inches. The display is a Super AMOLED touchscreen.. The selfie camera is a 16MP shooter. On the back it has a dual camera setup below which is the fingerprint sensor. The second camera is a 5MP depth sensor whereas the main camera is a 16MP shooter. The photos are average. The price and specs of this phone are not in line. Also, due to the lower end chipset, lags and stutters are common. If you are annoyed with your Samsung Galaxy J8, sell it on Cashify in just under one minute. Why Sell Your Old Samsung Galaxy J8 On Cashify? Cashify is the place to sell used Samsung Galaxy J8. Cashify has already encashed over 12 lac devices and has a customer base of 10 lac people. 2. Select the device brand and model. 3. You will see an estimated price right away. 4. Click on “get paid” to proceed further. Answer some simple questions about the used Samsung Galaxy J8 and unlock the best price to sell old phones in India. Schedule a free pickup and get paid when you deliver the phone to the Cashify agent.